Wonderful Oceanfront Upper Unit Duplex! Spacious Deck with Views! 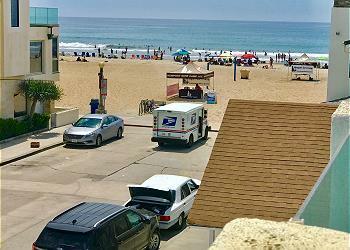 3BD/2BA upper unit w/great deck on the oceanfront! 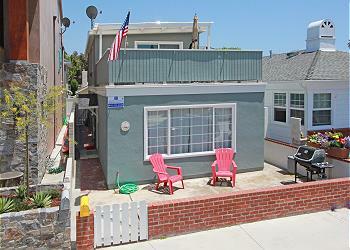 Unit is at the corner end of Balboa Parking lot & right near shops, restaurants & shops! D/W, coin-operated W/D & 1 garage space. Fantastic 3 Bedroom Upper Unit - Just 2 Houses from the Ocean! Rooftop Deck! 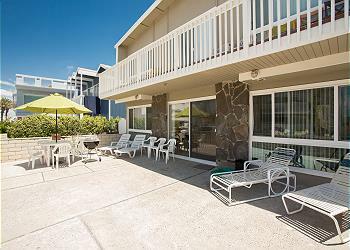 Very nice 3BD/2BA + loft upper unit located just 2 houses from ocean! Large living room, stainless steel appliances, dishwasher, rooftop deck and BBQ. Gorgeous ocean views! W/D in unit. WIFI/Cable/AC/Linens. 1 car garage (no SUVs). 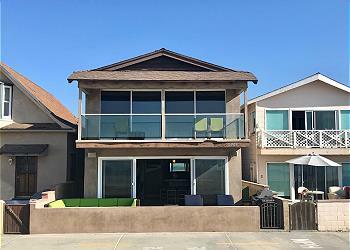 One of a kind 6BD/4BA single family oceanfront home located at 35th street. Breathtaking ocean views! 2 kitchens, granite counter tops, large living room with flat screen TV. WIFI/Cable/DVD/Linens. Private laundry room. 2 parking spots w/ extra storage. Cute single family home steps from a wonderful family bayfront beach. The perfect spot for kids to play and family gatherings and traditions to begin! The home has a patio, plus upper deck with views. Rental includes four bikes & some beach gear. Popular and spacious 2-bedroom lower with 2 parking spots. Beach view from large front patio! 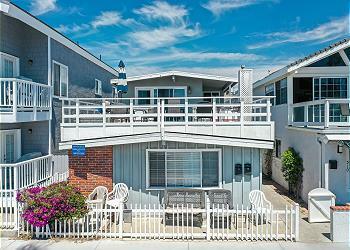 Walking distance to Newport Pier, grocery store and restaurants. BBQ, WI-FI, Cable, DVD, Linens, laundry room.